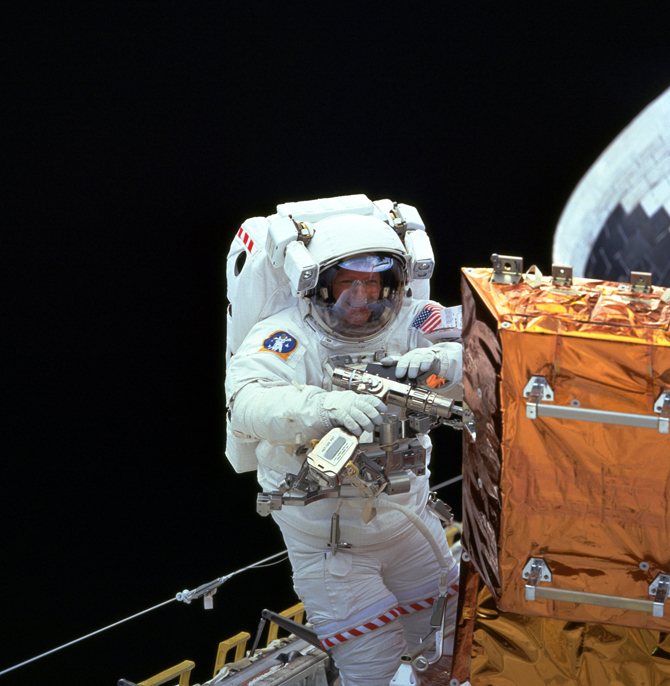 A veteran of four space flights, Claude Nicollier was the first astronaut from Switzerland. Over his thirty-year career as a European Space Agency (ESA) astronaut, Claude has logged more than 1,000 hours in space and has flown as a mission specialist on STS-46 in 1992, STS-61 in 1993, STS-75 in 1996, and STS-103 in 1999. He was the first European to train with the National Aeronautics and Space Administration (NASA), as well as being the first European to go on a spacewalk from the Space Shuttle in 1999. Retiring from the ESA in 2007, Claude has remained at the forefront of flight innovation with his current role as Head of Flight Test for the solar-powered Solar Impulse aircraft. We took the opportunity to talk to him about the simulation and repetition involved in preparing for a space mission, the value of space exploration, and the lessons that we can learn from that. IG: You were a part of four Space Shuttle missions during the 1990s. Can you tell us about your process to become an astronaut? CN: To become an astronaut, you go through a selection. I went through the first ESA selection in 1977. At that point we were astronaut candidates, not astronauts, because you need to prove for the next year or so of basic training and advanced training that you really can become an astronaut. So you are nominated astronaut just about one year after you are selected. It is the same process for NASA. The reason why Europe started to recruit astronauts was because they were invited by the US in the late 1970s to develop a scientific laboratory for the Space Shuttle. The Shuttle was unique for being able to take something to space and bring something back from space: take people, a space probe, recover something, or repair the Hubble Space Telescope, like we did a few years later. In order to use the Space Shuttle as a real scientific laboratory, we needed some additional space and accommodation for experiments. And that was the mandate of Europe to do that. At the same time that the agreement was made between ESA and NASA to work on the Space Shuttle, NASA invited the Europeans to provide astronauts. This was the first opportunity for Europeans to become astronauts. The first selection was in 1978, with three astronaut candidates: Ulf Merbold from Germany, Wubbo Ockels from the Netherlands, and me. IG: What was the training process and simulations that you completed before your first shuttle mission? CN: When astronaut candidates are selected, they go through a so-called basic training for about one year, where they learn about computer science, space science, spacecraft technology, and orbital mechanics. They also train in simulators of the spacecraft they will use. For me it was the Shuttle. The Shuttle was really complex. It obviously had a structure, a propulsion system, a power generation/distribution system, a system of attitude control with small rockets, and many computers.! At the end of the basic training, there was a ceremony where we were nominated astronauts. Then we went through advanced training for another year to a year and a half. At that point we became eligible for assignment to a mission. When that happened, we were gathered with the selected crew¬—for the Shuttle it was generally seven people—the commander, pilot, and five so-called mission specialists. Mission specific training was about a year to year and a half duration. This means that we went into space at the earliest about four years after selection as an astronaut candidate within an agency, NASA, ESA, or the Russian Space Agency. Of course, things change a lot. Sometimes people are assigned early, others are assigned late. There is not a standard pattern. For me, it was much longer than four years; it was twelve years. The reason was that my first flight was scheduled in 1986, but after the Challenger accident, it was considerably delayed. The other constraint I had was that I was the first non-American to be integrated into the NASA astronaut corps. My other two colleagues, Merbold and Ockels, stayed in Europe for the first mission. And NASA said, “Okay we can train a European to the same level as a NASA astronaut to fly on the Shuttle, but the constraint is he can only fly if there is an important European payload on board.” And there were not so many. The first opportunity for me to fly was in 1991-1992. So I spent quite a lot of time in Houston! IG: That is a lot of time waiting. CN: In a way, it wasn’t waiting, because NASA has all kinds of jobs for us. As an astronaut you are either training for space, or you are in space, or you are in the post-flight debriefing period, or you have a job, assigned by NASA. 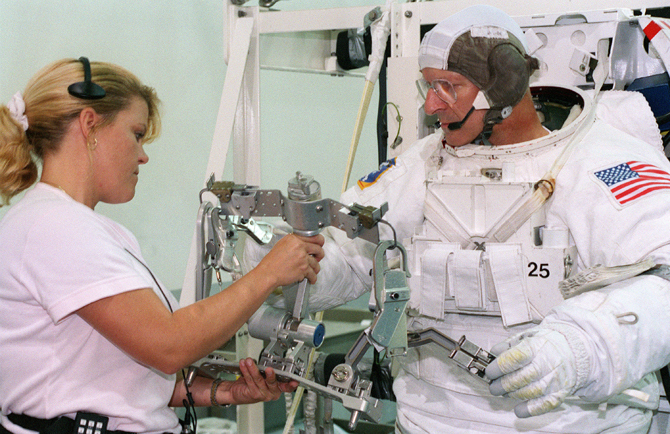 One of my first jobs was Shuttle navigation, and the experts group included an astronaut. It was an interesting job, I liked it, but it kept me really busy. I was never demotivated and just waiting for my mission. I was doing my job and learning a lot of interesting things. I knew spaceflight for me was going to come at some point. IG: Once you were assigned the first mission, I assume there was a really specific training required for the different aspects of the mission. CN: The difference in the mission training versus the basic and advanced training that I talked about was that it is specific to the mission. During the first mission, we were going to deploy a scientific platform called EURECA (European Retrievable Carrier). It was a spacecraft to be installed in orbit and then recovered about a year later by another crew on another Shuttle flight. We had to train for the specifics of the mission. EURECA had solar arrays and antennas, and they had to be deployed at a certain attitude held with the robotic arm, and the deployment had to be very precise. We also tested the so-called Tethered Satellite, a small spacecraft at the end of an electrically conducting cable, to do scientific investigations about ways to generate electricity in space without solar panels. 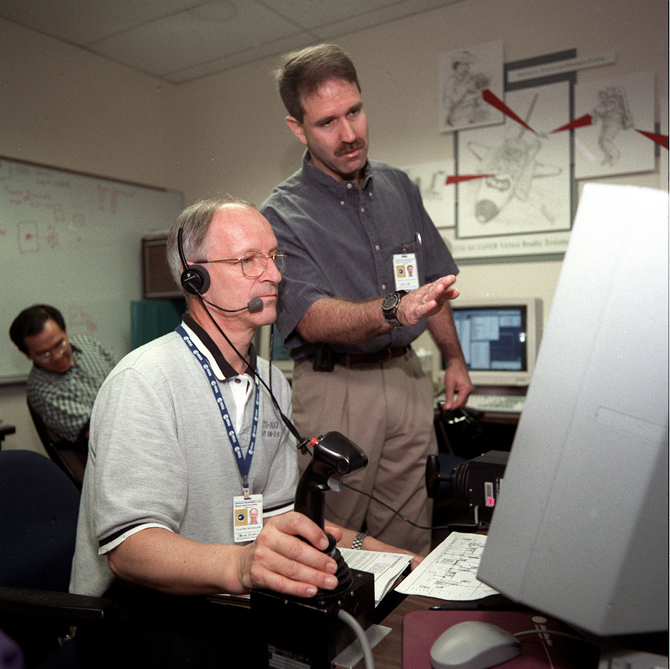 During that year of mission specific training we mainly used the Space Shuttle simulator, but there was also classroom training or discussions with experts. Most of the time the crew would train together, playing sections of the mission, but sometimes I would train for robotics without all of my colleagues being there. In those simulations, there were failures continuously injected by our instructors, which was really good! We got spun up in dealing with the failures to such a point that during the mission we were really surprised that things went so well, unlike in the simulator where there was never more than five minutes without a problem introduced by our instructors. I remember thinking, during the mission: “Wow, we had ten minutes without a problem, so a problem is going to come soon!” [laughs] We took things very seriously, but we didn’t take ourselves seriously in this preparation for flight. There was a good, relaxed, but very professional training environment. IG: How long did it take between the moment you were assigned to a mission and when you actually went to space? CN: About a year to a year and a half. This was typical for all Shuttle missions. IG: As far as simulation, you have to simulate both the tasks that you have to do and the conditions in which you have to do those tasks. CN: Whenever we can, yes, but we cannot easily simulate the absence of gravity. 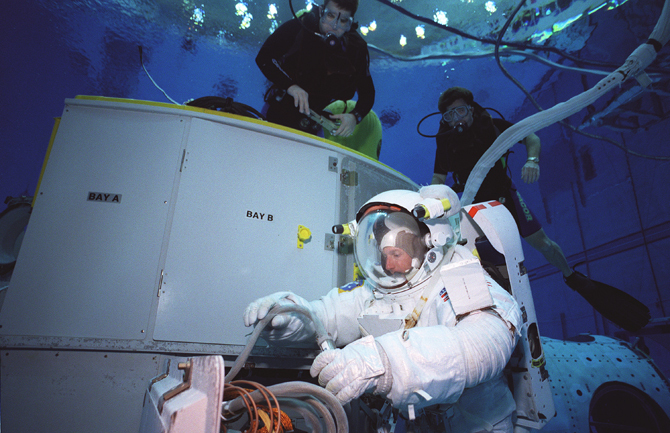 Spacewalking training is done in a water pool, as a good simulation of weightlessness, but for all of the operations inside the spacecraft—whether it is flying the spacecraft, doing robotic operations, managing the trajectory, or performing experiments—you train in a 1g environment. Zero gravity doesn’t really matter in this case. As long as you are in the cabin, and you are in light clothing, the absence of gravity is not a big factor influencing the way you do things. 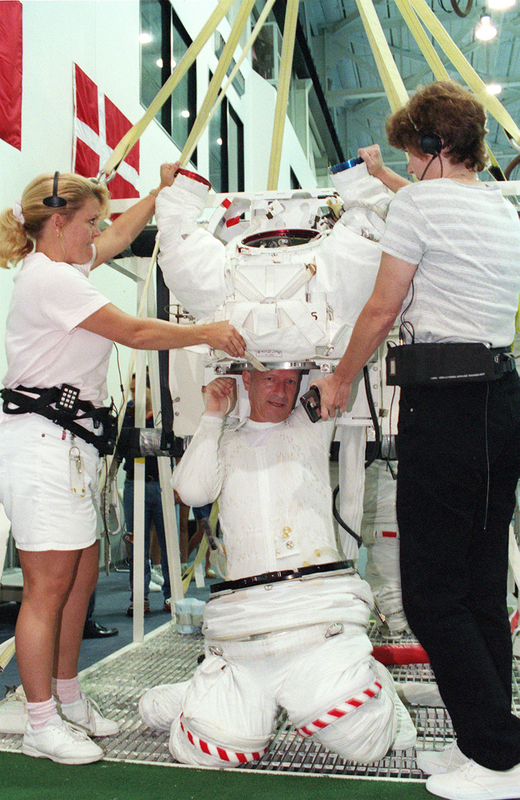 It’s only when you go out in this heavy and bulky space suit which really limits your mobility and visibility that you need to train in an environment that mimics the weightlessness of space. IG: What went through your mind at the moment when the airlock opened? CN: It’s a great moment because of the stunning beauty of what you see. From inside the cabin, you see everything through thick windows. When you go out, you have this wide view, and very good optical quality of the helmet visors, and the view is spectacular! The reality is that a few centimeters away from your nose is a vacuum that is totally hostile to life. But you are protected by your suit, which is like your personal spaceship—it provides you with oxygen, it has a radio, a battery, a caution warning system, and a cooling system for your body to eliminate the body heat. It is interesting because you always hear this electric motor [woo, woo, woo, woo] that circulates the pure oxygen in the suit. This circulation is what maintains life. If the oxygen stops circulating, very rapidly you have carbon dioxide accumulating and, if that happens, you have to eliminate the carbon dioxide by opening a valve but that gets rid of the oxygen also! You don’t want to do this [laughs]. This electric motor is like hearing your heart beat. It’s the reassuring noise of life. The view is stunning while spacewalking, but you cannot focus too much on the beauty. 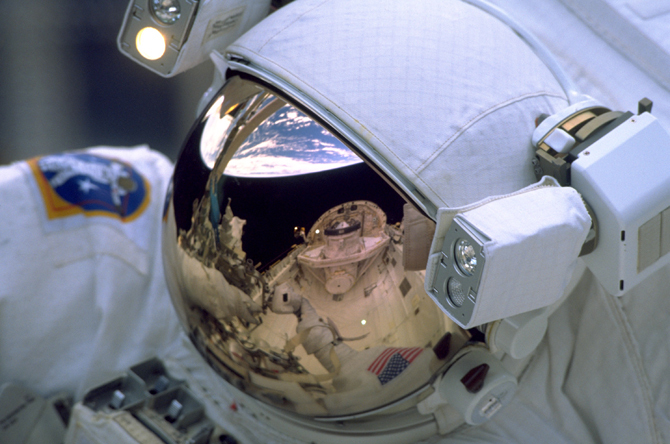 You need to do your job, because spacewalks are always limited in time and there is much to do. The Shuttle crew and Mission Control Center personnel were monitoring our progress to be sure that we were working enough and not resting. [laughs] If you were five minutes behind the timeline it was not a big deal. Ten minutes, people would start to worry. Fifteen minutes, they would really start to worry more, and a half an hour was like a disaster. The pressure of having things done was quite high. I must say that sometimes I enjoyed a glimpse of planet earth for thirty seconds or so–“Wow! We are coming over Egypt, that’s the Red Sea, that’s the Gulf of Aqaba, and of Suez, that’s Israel…” It was really beautiful, but a short time view of our planet. IG: What happens if you were delayed? Would they take you back to the spacecraft? CN: We always had reserve. Normally spacewalks were planned to take 7 hours, but we had oxygen and electrical power for 8.5 hours. We need oxygen for life, and electrical power mainly for circulating the oxygen, and for the radio. After 8.5 to 9 hours, oxygen and electrical power were essentially gone. For my second Hubble visit, we had to install one pointing camera, but we couldn’t get it in because there was too much friction during the insertion into Hubble. We had done it in the pool many times, but now we had to figure out another method to get it in. In the end, we got it in but we lost an hour so our space walk lasted about 8 hours and 10 minutes. In those types of cases, you get some help, but people become nervous. 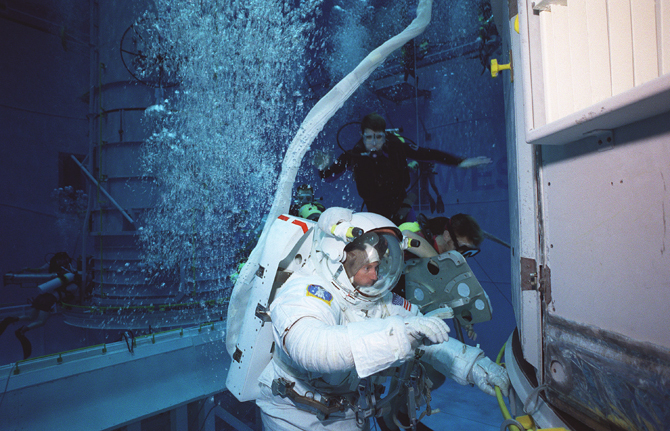 IG: To train for the Hubble missions, you had an exact replica of the Hubble Telescope built in the swimming pool. But when you are in space, you also have to take into account the extreme contrasts between light and darkness of day and night. How does that affect the work you have to perform, and how do you simulate that? CN: We didn’t recreate varying lighting conditions during training because we had floodlights on both sides of our helmets and we always worked with a properly illuminated worksite. We were going around the Earth in an hour and a half, or sixteen times per day. So we had sixteen sunrises and sixteen sunsets per terrestrial day. In an hour and a half, the day lasts one hour, and the night is a half an hour. We always had a one-minute warning before the sunset, because it is bright by day and within ten seconds it is night. The sun sets very rapidly, and you want to have an advance warning about this to avoid a big surprise. IG: Were there any specific aspects that impressed you out of your four missions? CN: Yes, many aspects! In my four missions there were two types of operation. The first and the third mission were scientific missions that included test of a Tethered Satellite, or a satellite on an electrically conducting leach 20 km in length. We had a major failure in the first Tethered Satellite mission, so we tried to repeat the same operation on my third flight with the failure eliminated. Seeing a small satellite at the end of such a long tether deployed vertically above us was really spectacular. 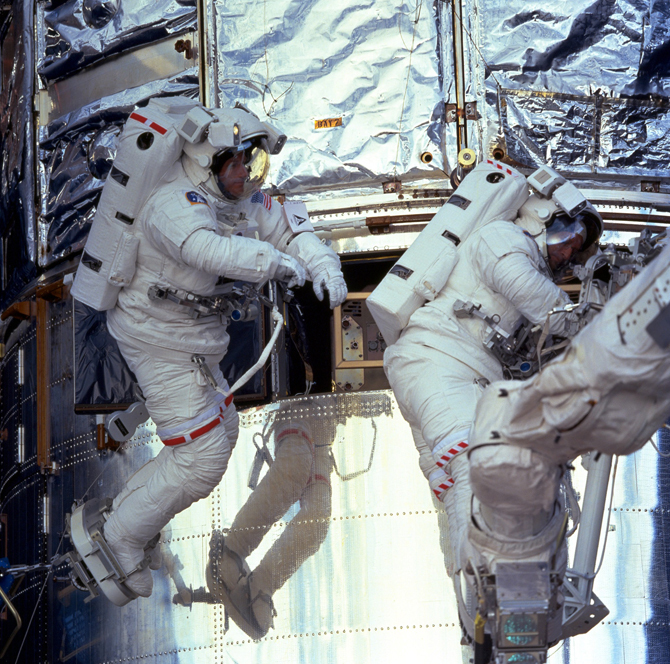 The other two missions were visits to Hubble. Those were different in nature, and we didn’t do any science, we were repairing an instrument. For me, the Hubble missions were spectacular. The idea of finding the Telescope in space, getting it into the payload bay, and doing major repair work on it in the space environment was really exciting. The Telescope initially suffered from a severe optical problem for three years until we repaired it in December 1993. From that point on it started to work properly and became a very productive scientific instrument. It was very gratifying to come back from a mission in which we were able to fix a two billion dollar instrument in space. 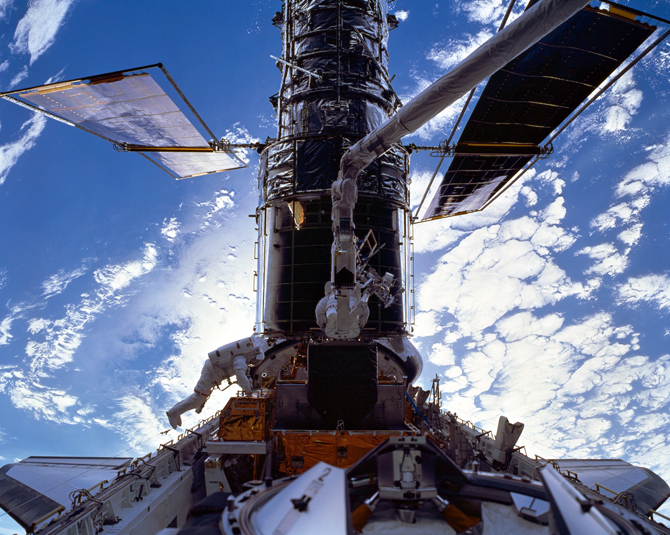 For me, as I am an astronomer, being a part of two missions to Hubble as a crew member, to fix a very valuable instrument for astronomy, was wonderful. The missions to the Hubble were special because they meant a lot for me. In a way, the satisfaction and pleasure that you derive from a mission is certainly the spectacular view, the weightlessness, and the spirit of the mission, but it also is accomplishing something that you believe in. And obviously working on the Hubble was something that was very dear to my heart. We were really serving the scientific community, and the public. IG: What do you think is the value of space exploration? CN: Human beings are explorers. They try to go where they can; they look at what is behind the horizon. In the history of humankind, exploring has always had long-term benefits for people. Exploring the high mountains and the depth of the ocean, we learn about the Earth, we learn about ourselves, we learn about the atmosphere, and about life in the deep ocean. It is a matter of learning and discovering new things. Space exploration goes along the same lines. Only in the 1950s did we have the rockets that allowed us to go into space, although we knew the physics and the principles of space travel since Newton! Rocketry is what made space exploration possible. There are huge benefits from space exploration: for communication, for precise navigation, and for optimizing the exploitation of the resources of planet Earth. There are also military aspects, which I won’t talk about because that is not my business. When you think about GPS and equivalent systems, it is an amazing technology that we have thanks to our access to space, and a lot of smart science and engineering. Those are the practical aspects, which are all very valuable, but the other value of space is in exploration. Whenever we have the technical ability to do something, to go somewhere, we do it. We have to be careful, because it is often dangerous, but we go. It’s our nature. IG: How do you think the presence of private funding affect space exploration? Do the goals change in any way? CN: I don’t think the goals of space exploration have fundamentally changed. The means have changed. 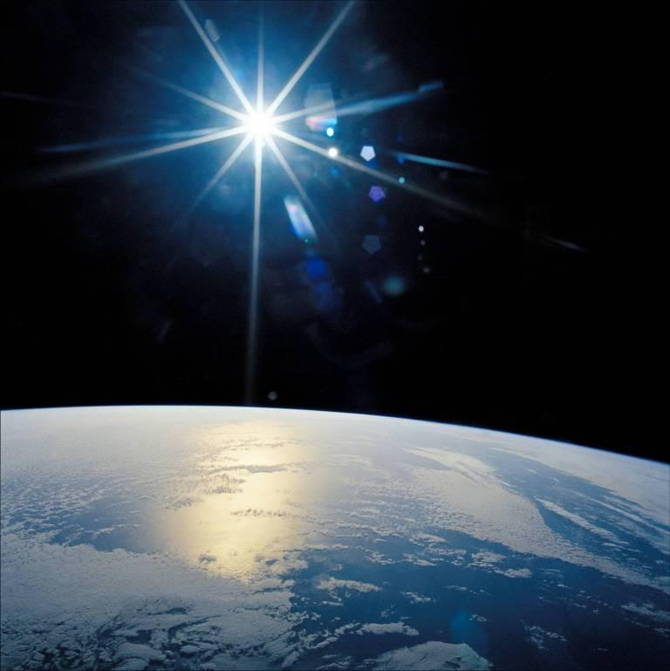 There is a rise of commercial space, often in partnership with institutional or government controlled space activities. This is not really a competition for NASA, because NASA wanted to support commercial companies in their efforts to access space. This will continue. There is also a plan for a human fly-by of Mars in 2018 by a private company–the project is called “Inspiration Mars.” It should be done in a spacecraft with two people on board, with a total mission time of 501 days. It’s not totally funded yet, but it is in the definition and planning stage. There is another project called “Mars One.” It is a oneway mission to Mars for four people planned for 2024. These are private ventures, and I think it is good to have private companies involved in space travel. The goals are not fundamentally different, this is exploration, sometimes to the limit, and the funding source is different. IG: What are the limits to continuing space exploration? Are they defined by money, politics, or strategic developments? CN: There is a little bit of all of that. The political component is highly important. Apollo was a spectacular achievement. There was a very strong political will by the US to beat the Soviet Union and to be the first on the Moon. The Soviet Union had the first successes in space: Sputnik 1, Gagarin, the first woman in space, Valentina Tereschkova, the first spacewalker Leonov… The US response to these early Soviet successes was very dramatic and successful. The Apollo program was primarily political, it was not scientific, and it was not commercial. But in retrospect, we learned a lot about the Moon through Apollo. Future space exploration, like the establishment of human colonies on the Moon, will see a mix of private and institutional ventures. The Apollo Program, as you know, did cost about 20 billion, and the space station about 100 billion, and the cost for a NASA led human mission to Mars is going to be tens of billions of dollars. It would be difficult to raise money privately to do that. At the same time, there is a rise of companies that are planning to do bold things in space exploration. There is more freedom in private ventures. NASA probably can’t send a crew one-way to Mars on public money. But a private company can do that. I think it is interesting because the rise of commercial companies and projects gives a new dimension to space exploration. Private companies can do “crazy” things, and can do them relatively fast. On the other hand, NASA does things more slowly, establishing solid roots, having safety margins that are quite high, with a high likelihood of success but generally high costs. It is interesting to see these two approaches of space exploration run in parallel. IG: Which boundaries would you like to see broken? CN: I’d like to have real colonies on other celestial bodies. What I mean by real colonies is colonies with babies. And what I mean by babies is people who live there, who reproduce there, and live long-term there. Because, as long as we bring adult people and they come back (or they don’t), that is not a real colony. Even in the project of Mars One, there would be four people who would die there. Before they die, there would be four others that would be brought a few years later. It could look like a colony, but would be bringing people, over and over, and they would die there, after hopefully running happy and productive lives. The day we can have people on the surface of another celestial body, who really can live there long-term, including having hospitals and babies, with good life quality, this will be an enormous breakthrough. IG: What on Earth have you experienced that rivals what you experienced in space? CN: For me, one of the things that struck me in my space travels was the unbelievable beauty of what I saw. I have not seen anything here on earth that would come close to that. It was to the point of crying, or pinching myself. I said, “Claude, are you dreaming, or is this really happening?” The view down and up from space is unbelievably beautiful. I remember looking at the sky and the constellations moving sixteen times faster than you see the constellations moving in the sky from planet Earth—amazing! For somebody who has affection for starry nights, to see the whole sky in a half an hour–the spring, summer, fall, and winter constellations–was unbelievably beautiful. I have not had the experience before my flights or after my flights of anything so beautiful here on Earth. IG: Let’s talk about the Solar Impulse, where you are currently the Head of Flight Test. How is that project comparable to your experience in preparing as an astronaut, and what are the challenges you are facing? CN: In addition to astronomy—I was a professional astronomer for a few years before I became an astronaut—I have always been a pilot. I was a pilot in the Air Force of Switzerland, and I went to Test Pilot School in England after the Challenger accident. I was much later proposed the position of Lead Flight Test for Solar Impulse. It’s interesting because the Solar Impulse airplane, very slow and using the sun’s radiation as the only source of power for propulsion, is exactly at the other end of the Space Shuttle in the spectrum of flying machines. The Space Shuttle is the fastest winged machine to ever fly, up to 26 times the speed of sound, and the Solar Impulse is one of the slowest, with 23 knots of cruise speed. In 2004, I was approached by the founders of the project Solar Impulse, André Borschberg and Bertrand Piccard, to be involved in the flight test of this airplane. I know André Borschberg quite well because I flew Hawker Hunter fighter bombers in the Military. I immediately said yes because, for me, it was a new and really interesting dimension in aviation. To use the sun as the only source of power for propulsion of a piloted airplane was very ambitious, but it worked! To use solar energy, distributed over a 24-hour period, means that you collect during the day what you need for the night, in batteries. The goal of the project is to go around the world in 2015 without using propellant. The ecological message is to exclusively use a renewable source of energy to go around the world. I totally subscribe to this goal, although my focus is more on the aeronautical aspect of the project. 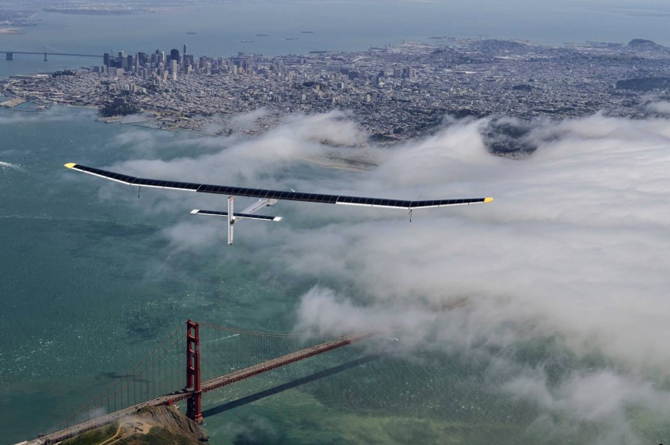 Solar Impulse will go around the world in several steps. It doesn’t have the performance to take more than one pilot, so it would be impossible to take two months to go around the world in a very slow piloted solar airplane. The prototype of Solar Impulse had a number of problems. For example, we had to correct the geometry of the airplane to make it stable. For me, it was an honor and a privilege to be a part of that process, and technically really interesting. It is such a new kind of airplane that we have to be very careful, and approach each of the flight testing steps with caution. We did low-speed taxi tests and high-speed taxi tests. We went on the runway just with the velocity to get airborne and then landed immediately afterwards. We only took small steps in testing, to be sure that we were not going to break anything, nor injure anyone. And it worked fine. We will adopt the same philosophy with flight-testing the final airplane, which will go around the world in 2015. Flight-testing will start around this May 2014 and will last until July. IG: So the new model of the plane will be ready in May? CN: Yes, we will start with the taxi tests at the end of April or beginning of May. The airplane has been designed and built near Zürich. It is being disassembled now, and brought to the Payerne Air Force Base, in a countryside area north of Lausanne, Switzerland to perform all of the flight-tests. The airplane will begin its flight around the world in early 2015, from a location that is still to be determined. IG: Is the goal to apply these lessons to commercial airplanes? CN: I am convinced that solar energy will never be used for the propulsion of commercial, transport type airplanes, but it could be fine for some form of private aviation. Maybe someday people will be able to go on a sunny Sunday afternoon, with a small solar plane, for a pleasure ride, and with no bad feelings about CO2 emissions. Solar Impulse is considered a very positive and strong symbol related to high technologies and the use of renewable energies in new machines. IG: As a pilot and an aviation expert, do you think will there be any other Concorde in the future? With fossil fuels I think it would be unwise to have another supersonic transport airplane. They are so demanding in fuel that it would be irresponsible to do this now with high CO2 emissions and considering the limited reserve of fossil fuels that remains. The problem would not be technical, because it would be doable, but would it be wise to do? I do not think so. IG: I am still amazed by its design. A machine that was so advanced for its time. CN: It was a huge achievement from an aerodynamic point of view; to have a big airplane that was reaching Mach 2, two times the speed of sound, was absolutely remarkable. I am very impressed with the performance of the designers and engineers who worked on the Concorde. There is no doubt about that. I think improving the comforts of the subsonic airplanes is the way to go. Keeping the cost reasonably low and increasing the comfort. And someday we might go from point A to point B on a suborbital trajectory. Among others, there is a company in Switzerland working on that, it is called S3 (Swiss Space Systems) and they develop possible ways of flying from one point to another on planet Earth via a suborbital arc. It would be interesting to do London to Sydney in 45 minutes. IG: I’d love to see that. Thank you very much for this great conversation and best of luck with the upcoming tests with Solar Impulse. 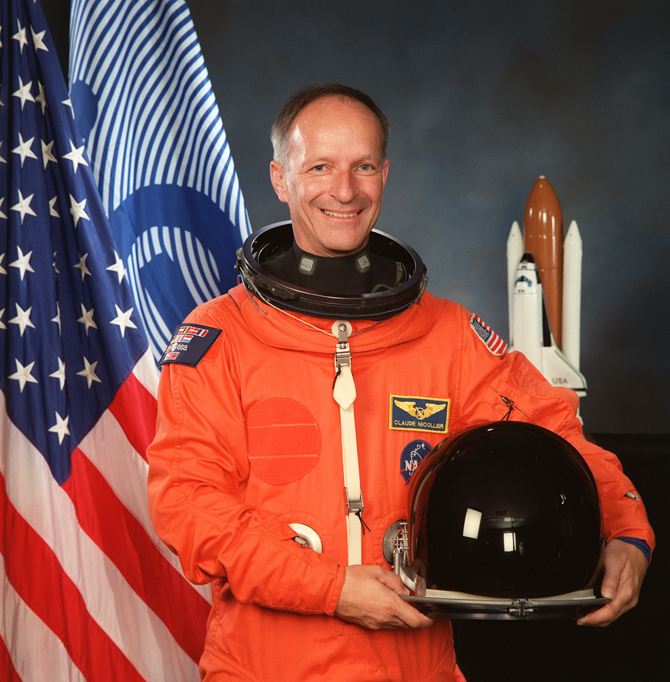 Claude Nicollier is a retired ESA astronaut who has flown on four Space Shuttle missions between 1992 and 1999, including two visits to the Hubble Space Telescope. His career as a pilot includes 38 years as Swiss Air Force pilot, three years as Swissair pilot, test pilot’s school completed in 1988, and private piloting on several aircraft types. He is the head of flight test operation at Solar Impulse and teaches a course on space mission design at EPFL and ETHZ. Iker Gil is an architect, urban designer, and director of MAS Studio. In addition, he is the editor in chief of MAS Context and the co-director of the Chicago Expander program at Archeworks. He is the recipient of the 2010 Emerging Visions Award from the Chicago Architectural Club.